The SketchUp document with this post gives the base form for Play One, Zones of Transition: suggested on page 46 of the book “Conversations with Form, A workbook for Students of architecture” In this post the dimensions of the base form are given in feet and inches. 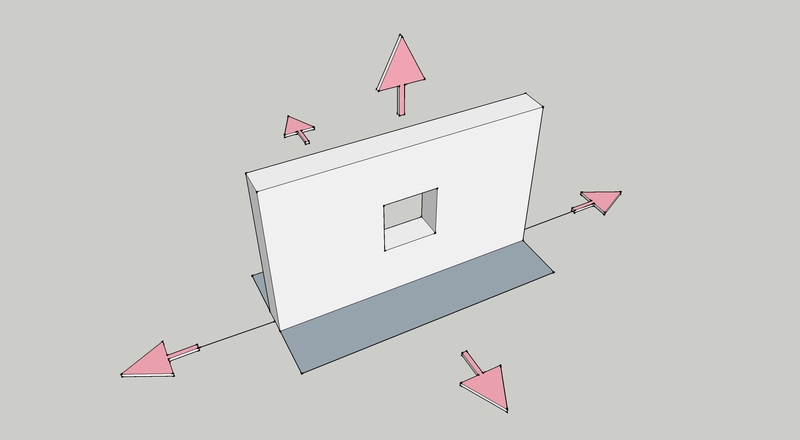 Under the category ‘base forms’ you will find base forms in SketchUp format in both meters/cm. and feet/inches for all the seven plays in the SWF book as well as for all the plays newly introduced in this site. Click category ‘plays’ for an overview of the plays available on this site.